Fully furnished. Ready to move in. New construction. Zero maintenance. 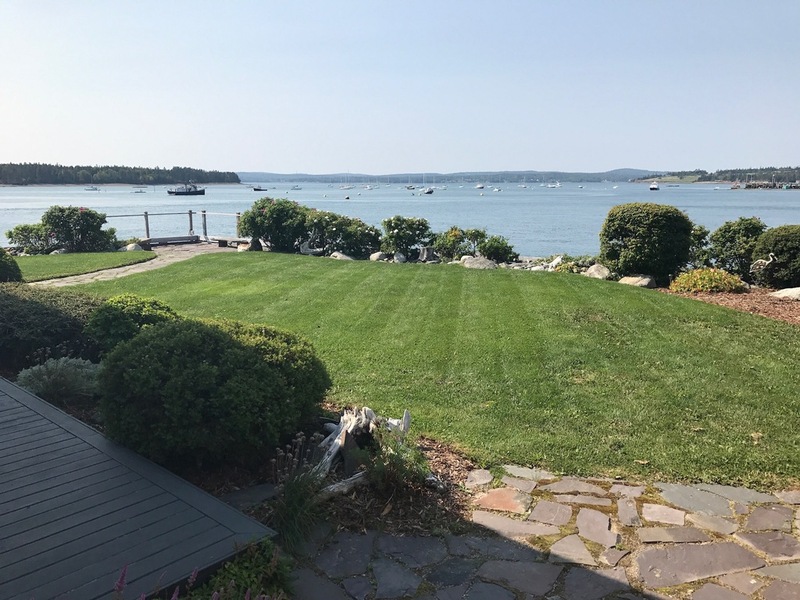 Ideally situated in all of St. Andrews, one of its three covered verandahs looks out across Passamaquoddy Bay, another overlooks between Navy Island and the mainland while the third overlooks the harbour. It was designed to take full advantage of the ocean views. The outside is stunning; deep covered porches, slate paths that weave in and out of the beautiful perennials gardens and lawns and a sand beach a mere few steps away. The home is clad in maintenance-free composite hard clapboard and the many windows are nearly floor to ceiling flooding the house with light and sea vistas. The custom tile floor makes a subtle statement that this house will be graciously appointed from beginning to end. Avondale has made all the cabinetry in the house, including the spectacular kitchen which has been featured in magazines. All the interior solid wood doors are extra wide for wheelchair accessibility. The home’s hardware and bathroom fixtures are all distinctive oil-rubbed bronze. The upstairs was designed as a private getaway for the Master and Mistress of the house. There are two Master suites, one with a four piece en suite containing a champagne spa tub and over-sized custom shower with massage jets, and the second with a two piece en suite and a large home office overlooking Passamaquoddy Bay. In the center of the second floor is a large walk-in closet and laundry. At the front of the house, commanding some of the best views, is a well-used family room/library. 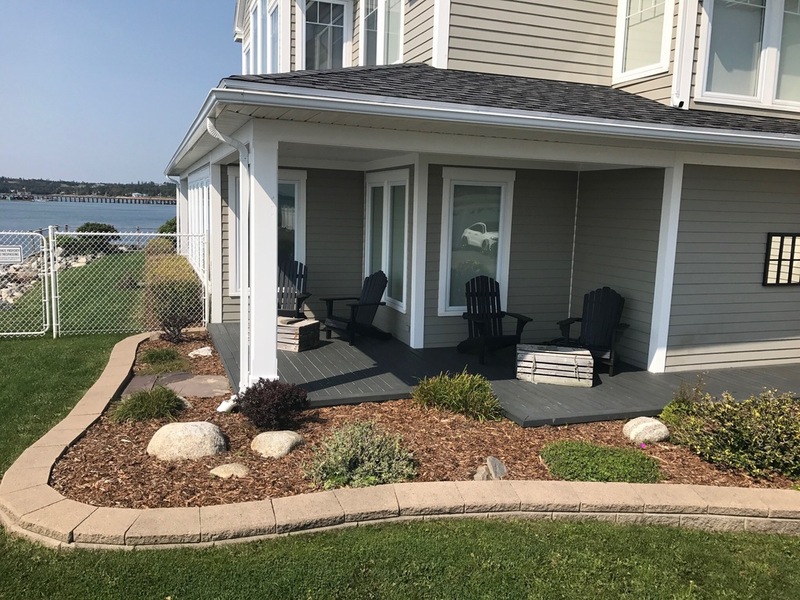 Other features include in-floor heating, on-demand hot water, gas fireplace in the living room, lots of built-ins and storage, garden shed, home gym/storage room, and fully landscaped property.